Wales May Day Bank Holiday 2016 – Click here to view the photos. 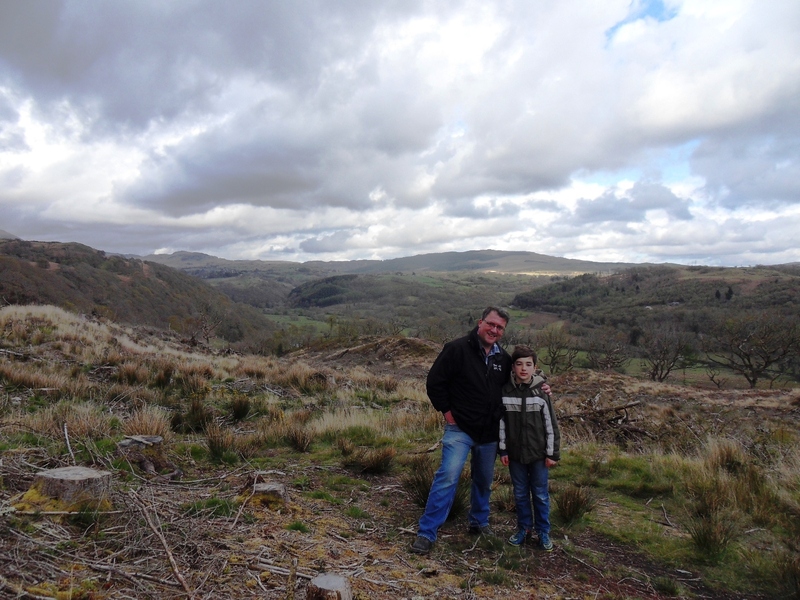 After arriving at the Oakeley Arms Hotel where we stopped for our May Day Bank Holiday break, Alexander and I went for a 3.5 miles circular walk around Tan-y-Bwlch which took us about 1h45′. We recorded the details of the walk on mapmywalk. Started with a trip on the scenic narrow gauge Ffestiniog Railway from Tan-y-Bwlch Station to Blaenau Ffestiniog Station. A short taxi trip, as the weather was too bad for walking the 1.5 miles, took us to the Llechwedd Slate Caverns. Here we took the 500 foot deep mine tour to find out the story of the men who built this industry which once roofed the world. The day ended with a return trip from Blaenau Ffestiniog Station to Tan-y-Bwlch Station and I recorded this journey on mapmywalk. On our way back home we stopped in Colwyn Bay where we had a fabulous time on the beach walking, searching for crabs and shells and trying our hand at cricket with a bit of wood found in the sand. Ţara Galilor Sărbătoarea de 1 Mai 2016 – Apăsaţi aici pentru a viziona pozele.